Chino – A 31-year-old man wanted in the homicide of two Vietnamese tourists in Las Vegas was apprehended and arrested after a short police pursuit from Chino to Chino Hills. He is currently awaiting extradition to Nevada. Julius Trotter is being held without bail at the West Valley Detention Center in Rancho Cucamonga after his arrest on June 7 in the 4300 block of Lugo Avenue in Chino Hills. Chino Police and FBI agents worked together to track Mr. Trotter to a residence in the 13900 block of Derby Avenue in Chino. Trotter must have seen them coming because he was able to get into a car being driven by a 27-year-old woman. They sped off in the car and lead officers on a short pursuit. According to jail records, Itaska Lavon Dean, the woman driving the car, is being held on $100,000 bail at the Glen Helen Rehabilitation Center in Devore on suspicion of felony evading. 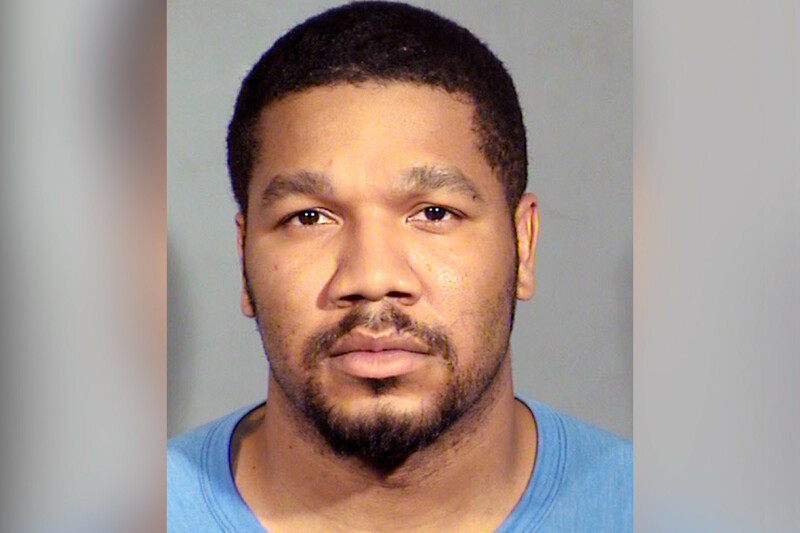 Trotter has been named as the main suspect in the homicides of Sang Boy Nghia, 38, and Khoung Ba Le Nguyen, 30, who were at the Circus Circus Hotel and Casino in Las Vegas. Earlier this month the victims were part of a tour group that was preparing for a trip to the Grand Canyon in Arizona. Video footage obtained by Las Vegas Police show a man burglarizing the victims’ hotel room shortly before the couple was stabbed to death. Reports state that the victims did not show up for a tour that was scheduled for that morning. One of the members of the tour group was concerned when the victims could not be contacted the entire day. The concerned party asked the hotel security to check on their welfare later that afternoon. When security officers entered the room they discovered the victims deceased and called police. On June 6, Las Vegas Police identified the murder suspect on the security footage as Mr. Trotter, and worked until through the night trying to find him. He was found at the home in Chino. Investigators have not said why Mr. Trotter, who is not a resident of Chino or Chino Hills, was at the Chino house.